GEOP Menu Show search box. The Geography & Planning Department will have a tutor available to students in the BSS Student Success Center, Butte 518. Tutoring hours will be Tues/Thurs, 3:30pm-5:30pm and Wed, 3:00pm-4:00pm. Don Hankins is a Professor of Geography and Planning at California State University, Chico. He has a B.S. in Wildlife, Fish and Conservation Biology and a Ph.D. in Geography from the University of California, Davis. His interests and expertise is in the following areas: pyrogeography, ecohydrology, landscape ecology, intervention ecology, conservation, environmental policy and Indigenous stewardship. This expertise is applied to his courses in pyrogeography, water resources policy and planning, and nature and restoration. Don has been involved in various aspects of environmental planning, stewardship, conservation, and regulation for a variety of organizations and agencies including federal and tribal governments. Drawing from his academic and cultural knowledge he is particularly interested in Indigenous traditional knowledge and policy and their application as a keystone process to aid in conservation and stewardship. He has published several articles specific to Indigenous prescribed fire and the social dynamics of colonization on cultural burning. 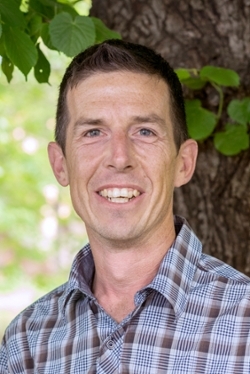 Amongst other projects his current research includes longitudinal studies of fire effects on biodiversity, cultural resources and hydrology and overall environmental resiliency in riparian forests, oak woodlands, and meadows in California and Eucalypt and tea tree woodlands in the Cape York Peninsula, Australia. These projects involve working with local Indigenous communities in the respective areas in order to achieve a broader framework of collaborative stewardship and learning. Don has also been active in policy related to Indigenous stewardship particularly as related to fire and water management. Hankins, D.L., 2015. Restoring Indigenous Prescribed Fires to California Oak Woodlands. In Standiford, Richard B.; Purcell, Kathryn L., tech. cords. 2015. Proceedings of the seventh California oak symposium: managing oak woodlands in a dynamic world. Gen. Tech. Rep. PSW-GTR-251. Berkeley, CA: U.S. Department of Agriculture, Forest Service, Pacific Southwest Research Station. 579 p.
Hankins, D.L. 2013. The effects of indigenous prescribed fire on riparian vegetation in central California. Ecological Processes. 2:24. Hankins, D.L. 2009. The Effects of Indigenous Prescribed Fire on Herpetofauna and Small Mammals in Central California Riparian Ecosystems. California Geographer. 2009(49): 31-50. Hankins, D.L. 2017. Ecocultural Equality in the Miwkoʔ Waaliʔ .Afternoon Session Packet for Minimum Continuing Legal Education (MCLE) credit for 13 th Annual California Water Law Symposium. San Francisco, California. Hankins, D.L. 2013. Foreword to P. McConchie. Fire and the Story of Burning Country. Cyclops Press. Avalon, New South Wales. Hankins, D.L. 2009. Water as Sacred. Invited essay submitted to the Department of Water Resources Tribal Communication Committee. Hankins, D.L. 2008. Native Californian Use of Fire in Weed Management. In Proceedings from the California Invasive Plant Council's 2008 Conference.